Because garlic scapes have such a short season (early summer), I’ve been on a garlic scape kick, using them in as many ways as I can. Last week, I made Lentils with Garlic Scapes and the week before that, I made Beet Greens with Garlic Scapes. Categories: Appetizers/Hor d'Oeuvres, Beans, Gluten-free, Healthy Alternatives, Healthy eating, Legumes, Recipes, Savory Cooking, seasonal cooking, Snacks, Uncategorized, Vegetables, Vegetarian, Wheat-free | Tags: beans, dip, garlic scapes, hummus, seasonal, snack, summer, vegetarian | Permalink. My pantry is stuffed to the gills with all sorts of items that the average cook with raise an eyebrow to. In fact, I’ll bet I have a few items in there that the average cook has possibly not even heard of, let alone used. If you were my neighbor and needed something for a recipe you were cooking or baking, chances are I’d have it. Anything at all. Need some flour? What kind? All-purpose? Whole wheat? Pastry? Spelt? Soy? Buckwheat? Barley? Teff? Oat? Fava bean? Need rice? Currently, I’ve got brown, basmati, brown basmati, jasmin, Thai black, rosematta, glutinous Thai, and Japanese short grain. Looking for grains? Choose from white and red quinoa, buckwheat, amaranth, sorghum, millet, and teff. So, what am I saying here? That I am constantly looking for ways to use up all of that stuff! 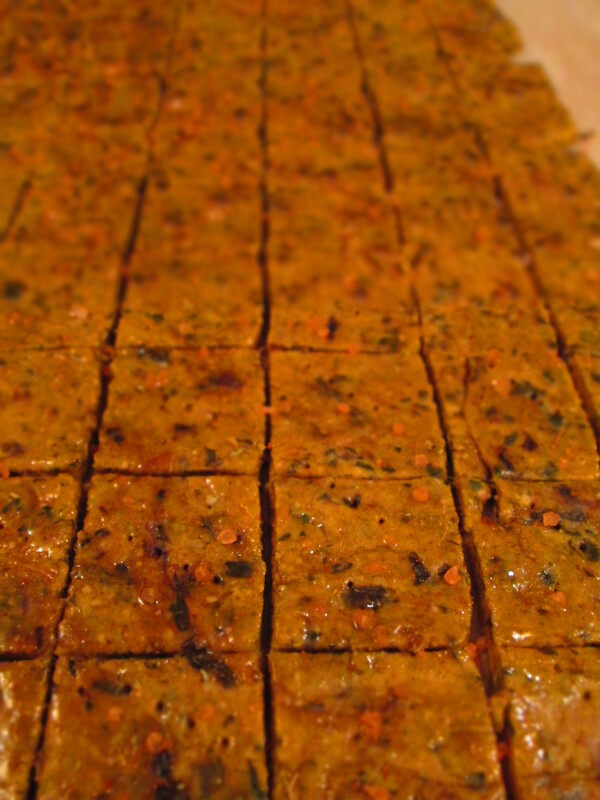 And so here is what I came up with to use both amaranth and some mixed dal I had. I could’ve just made a soup, but I wanted to do something different. 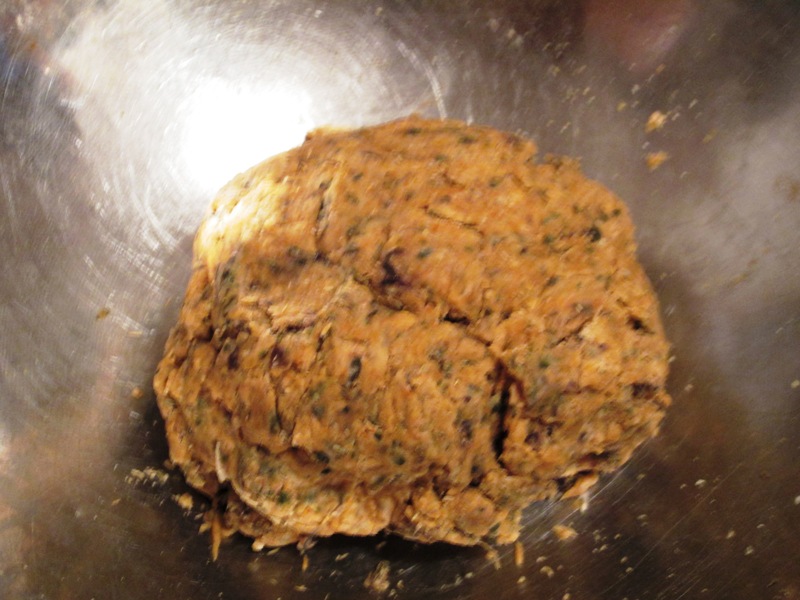 This is what I came up with—Amaranth-Dal Patties. If you’re not familiar with amaranth, they’re tiny little grains that are gluten-free and high in iron and lysine. Here’s a link for more information. Categories: Appetizers/Hor d'Oeuvres, Beans, Experiments, Grains, Healthy Alternatives, Recipes, Savory Cooking, Snacks, Uncategorized, Utilitarian Cooking, Vegetables, Vegetarian, Wheat-free | Tags: amaranth, dal, escarole, patties, snacks | Permalink. Oh, my peeps, do I have a great recipe for you this week. 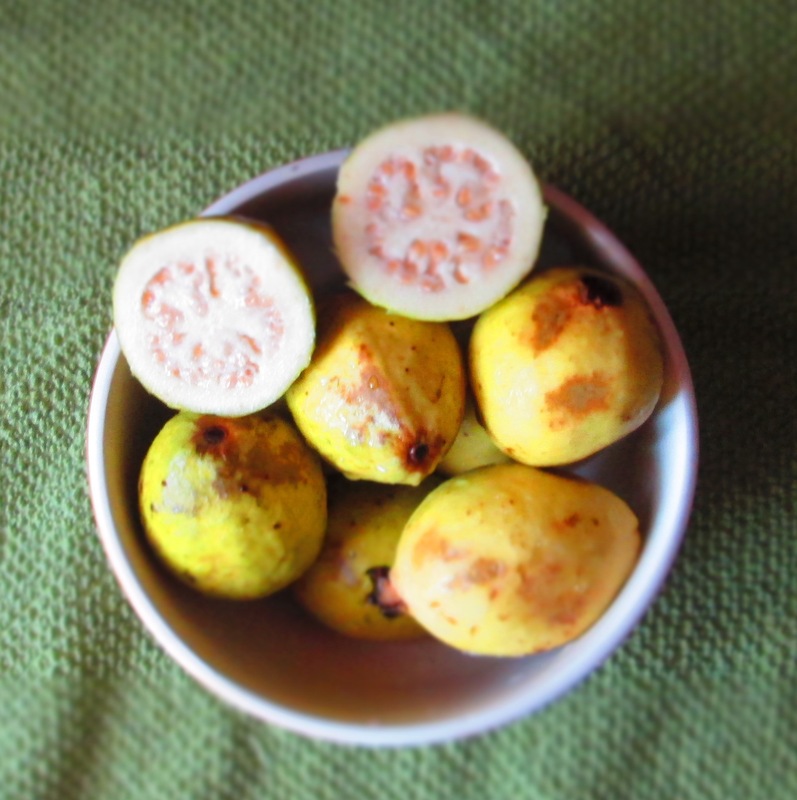 I saw these beautiful Mexican guavas at the store and picked up a carton. I’m a big fan of guava and knew that I could do quite a few things with them. First, I decided to make a puree and I would go from there. When I cut them open, I was surprised to find that they were white guavas rather than the pink ones that we most often think of. They’re delicious, just not as pretty. But that’s okay. 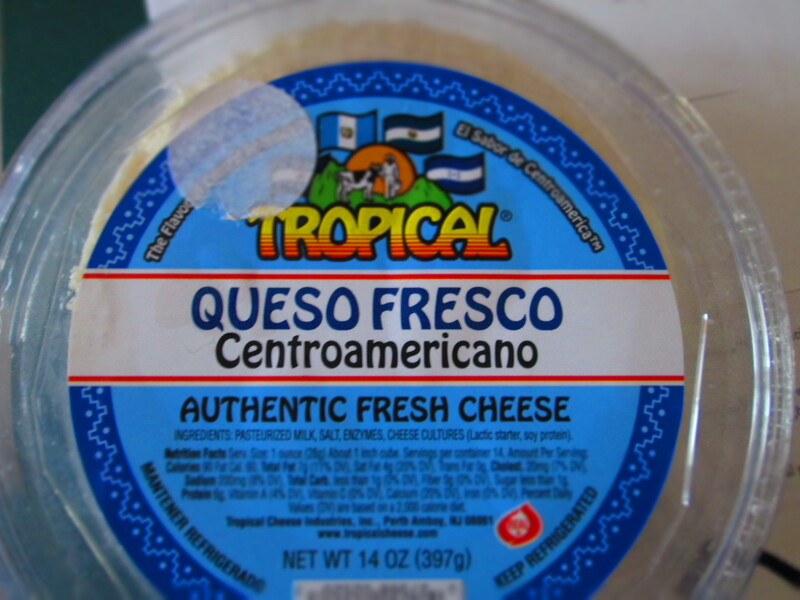 I also happened to have some queso fresco on hand, which I’d purchased for another recipe. Queso fresco—literally, “fresh cheese”—is like a feta cheese in flavor and texture, but it’s much milder, and it’s used frequently in Latin American cuisines. You can find it in Latin American markets, or supermarkets that have a decent cheese selection. If you can’t find it, any crumbly feta-like cheese will do. 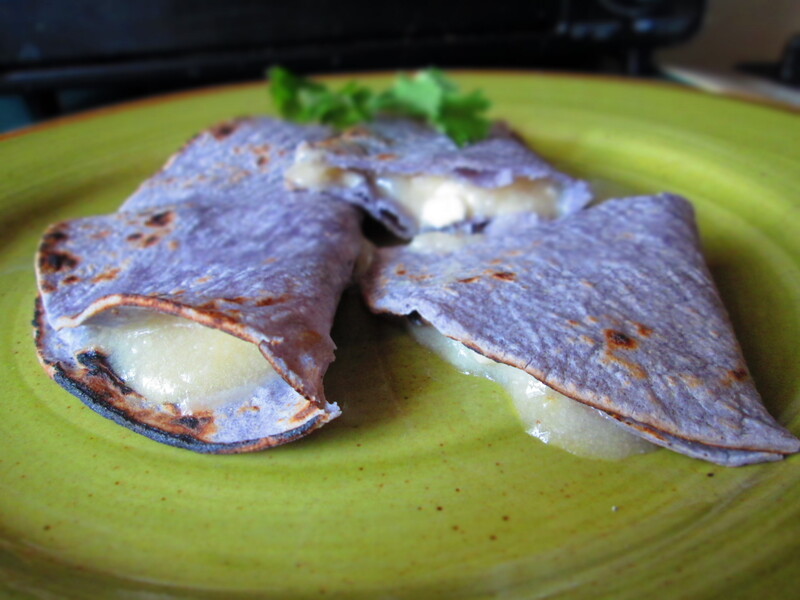 Categories: Ethnic Dishes, Fruit, Gluten-free, Recipes, Savory Cooking, Snacks, Uncategorized, Vegetarian | Tags: guava, quesadillas, queso fresco | Permalink. Want to do something different for that Christmas party? Why don’t you try making your own crackers? They’re really not that difficult. 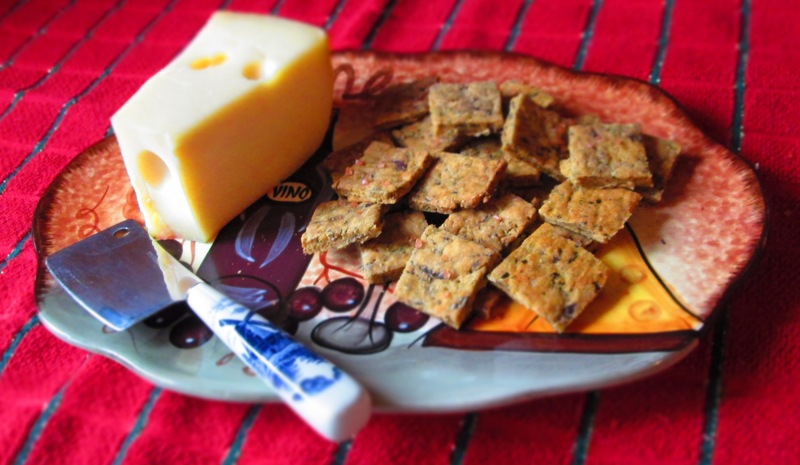 Crackers have been around for thousands of years—the ancient Romans made them! The word “cracker” comes from the Medieval word craken, meaning “to resound,” which describes the sound they made when broken. Italians love to put vegetables in everything, and crackers are no exception. 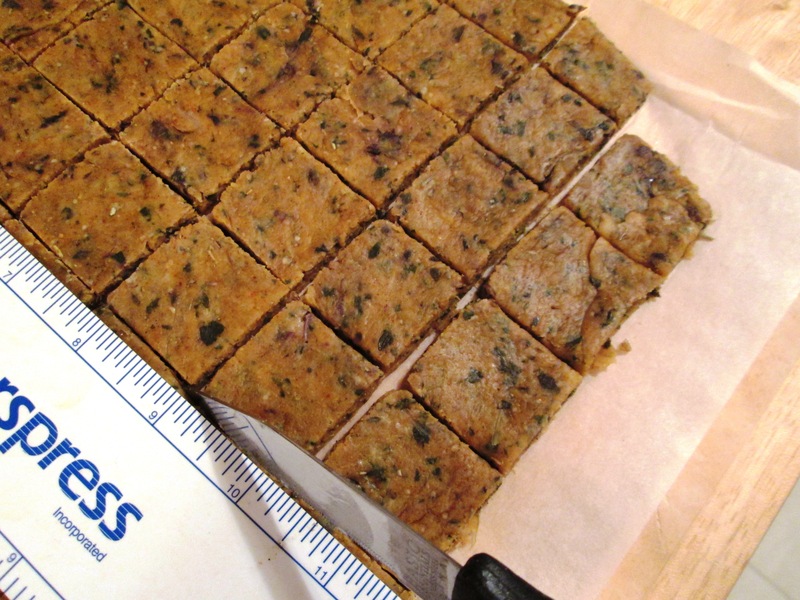 These crackers are a nice blend of herbs and fresh greens. Fava beans, in particular, are very popular in Italy and this recipes utilizes fava bean flour. 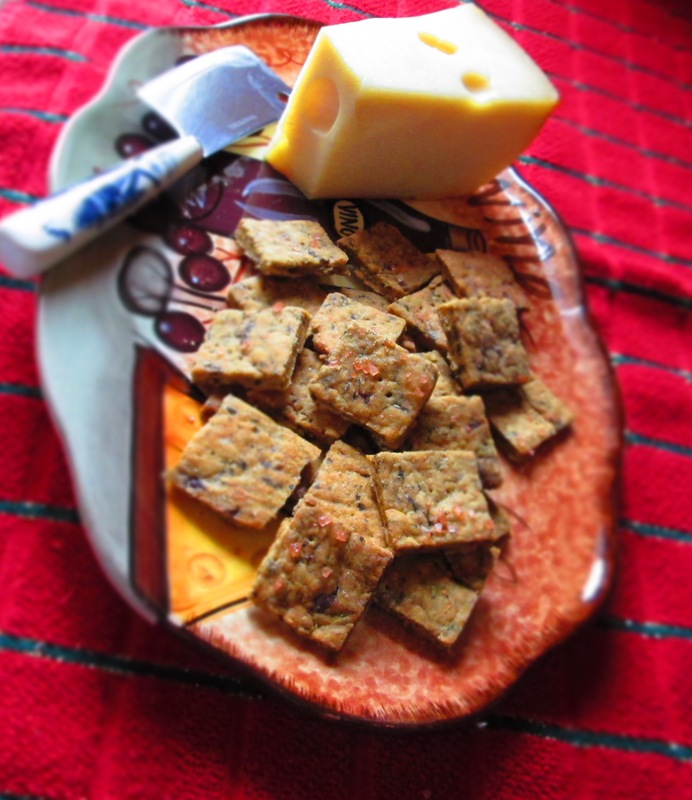 Not only does it eliminate at least a little bit of the white flour, but it lends the crackers a more complex, vaguely nutty flavor. Put these out with cheese, dips, salsa, or even guacamole. But they’re tasty enough to enjoy on their own. Makes approximately 7 dozen crackers. Place greens and 1 teaspoon oil in a food processor and process until very finely chopped. Set aside. In a medium bowl, whisk together flours, rosemary, oregano, paprika, garlic powder, kosher salt, fennel seed, pepper, and parmesan. 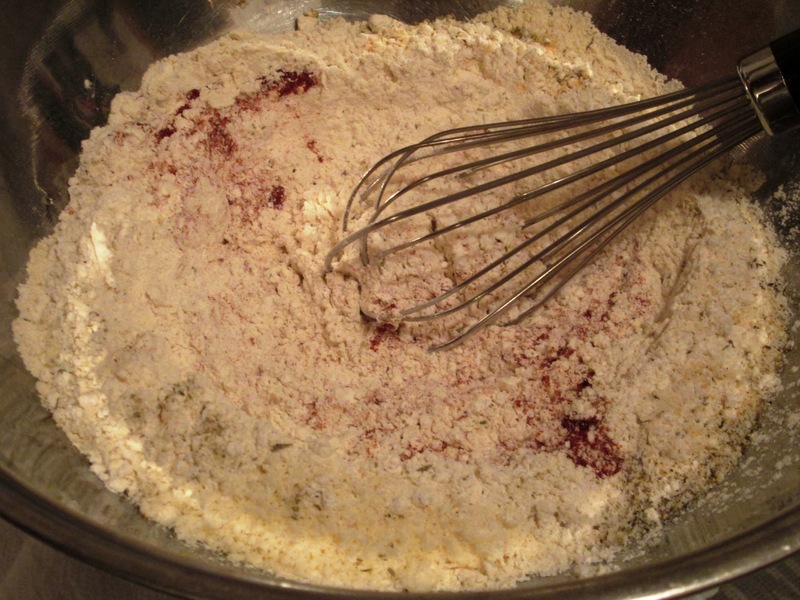 Add ¼ cup oil and mix until a dough forms. If necessary, add water, a little at a time, until all ingredients come together. Place a piece of parchment paper down on a clean surface. Place dough on the parchment and roll out as thinly as possible. Cut off the edges to make straight lines. With a ruler, score 1 inch rows down and then across. Brush top with remaining oil; sprinkle with finishing salt, if desired. Bake until firm and lightly browned, about 25 minutes. Remove from oven and let cool 5 minutes. 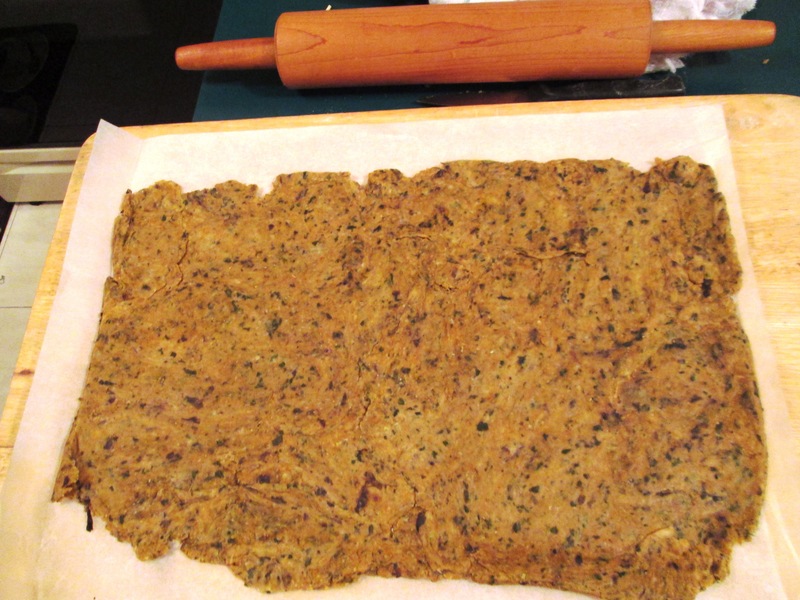 Then move parchment to a cooling rack. Separate crackers and let cool completely. Categories: Baking, Healthy Alternatives, Holidays, Recipes, Snacks, Uncategorized, Vegetarian | Permalink.